Do you want to fix your banged-up apparel, tune-up your bike and organize your gear better, both at home and on the trail? We have all those tips and more—time to elevate your game! When your waterproof gear springs a leak, fix it with a patch kit, available at any outdoor store. You’ll need to clean the area around the hole with alcohol. Then remove the patch’s backing without getting oil from your skin on it—use tweezers. Put the patch in place and smooth from the centre towards the edges, pushing out any air bubbles. Let it set overnight or longer. These patches should survive a few launderings, but eventually you may want to get it fixed properly. Ask at your outdoor store for advice. When a zipper doesn’t work on a jacket… well, it’s not really a jacket anymore. Usually a zipper fix is an easy DIY job. A bent slider is often the cause of zippers not staying closed. Take out a multi-tool with pliers. 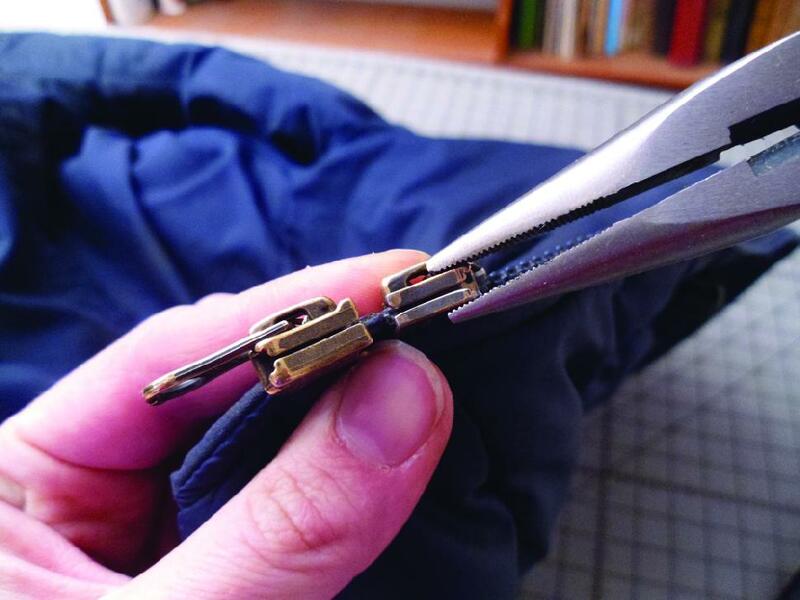 With the zipper open, use the pliers to press gently down on the open side of the slider a couple times. Do the same on the other side. Give the zip a try. If it fixed the problem, hike on. If not, try replacing the slider. This is only slightly more complicated. Look carefully at the zipper for the size: a number on the back or spine. Order a replacement online or at a sewing store. At the top of the zipper, look for the plastic keeper or top-stop. Cut or crack this off. Feed the new slider onto the zipper. 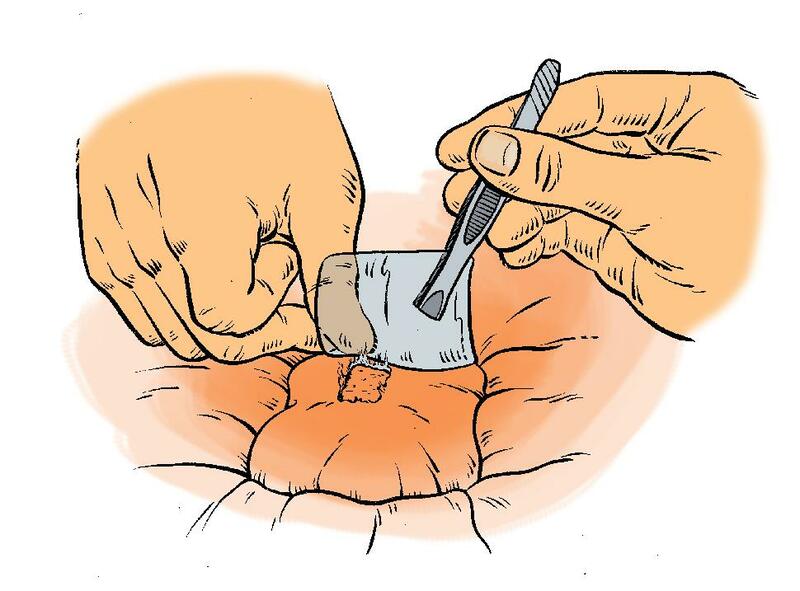 Pinch a new top-stop into place with pliers. Zip away. Bikes of all stripes may be getting lighter and easier to maintain, but gears will always need adjusting. 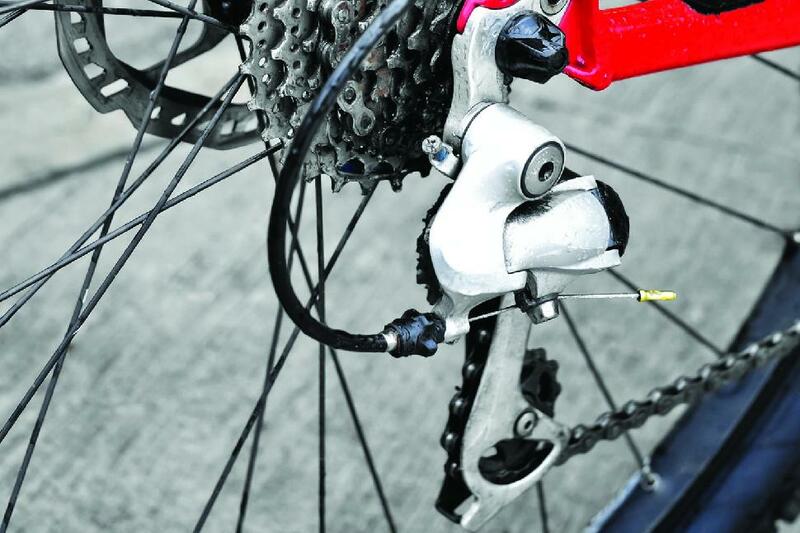 Every time you push a bike’s shifter, it pulls or loosens a cable that runs to the derailleur. Most shifting issues have to do with the tension of this cable, easily tightened or loosened at the barrel adjuster, a rotatable plastic cap right where the cable meets the derailleur. • Set your bike off the ground. A bike rack works if you don’t have a dedicated stand. • Put your bike in the smallest chain rings both front and back. • While pedaling with your hand, index up through your gears one at a time. Stop whenever a shift isn’t smooth and rotate the barrel adjuster one-quarter of a counter-clockwise turn. Shift and try again. • Continue doing this until the chain shifts nicely in every gear going up. Once you reach the top, go back down doing the same thing, except now, if a shift is rough, turn the barrel clockwise one-quarter-turn at a time. Camping sometimes feels like the thing we do between packing up and unpacking. It doesn’t have to. The key is organization. Buy a bunch of rubber bins. Divvy up your outdoor gear into categories: backcountry kitchen, front-country kitchen, camping gear, skiing, climbing, hiking, etc. Now store each category’s gear in its own labelled bin. Create a bin for stuff sacks and other containers. When it’s time to pack up, pull out the bins you need, grab the gear you want and pack it into a pack, extra bin or stuff sack. And get out the door. At the end of the trip, just do it all in reverse. Breaking camp can take hours. That’s OK if everyone’s on the same schedule. When you’re the one holding up the works, not so much. Even late sleepers can up their game with a few strategic moves. Use more stuff sacks. Organize clothing: camp clothes, outerwear, extra clothes and layers. When you get up in the morning, take off your camp clothes and stuff them in their stuff sack. Now you’re left with only two clothing bags to stash away just before leaving. Think strategically about food. Separate the day’s lunch and snacks from the rest of the food, storing them in their own bag. Pack it near the top. Memory Tetris. The first time you pack your backpack, try out different arrangements. When you’ve got it good, remember what goes where and recreate it when you pack up the next day. • Wear bright colours. A safety vest is best. Oranges, yellows and greens are good, and they are most effective worn on your legs, which are always moving and therefore more eye-catching. After dark, add reflective hits and lights. • Be observant. Scan parked car side-mirrors, watching for signs of life and a warning that a door might open at any moment. • Look both ways at intersections, even when you have the right of way, and stay alert for cars turning into your path—watch the car in front of you and shoulder-check behind you as you approach intersections. • Own your lane. If a road narrows or you need to cut across traffic, don’t be shy. Occupy the lane. It’s hard to ignore something that’s right in front of you. 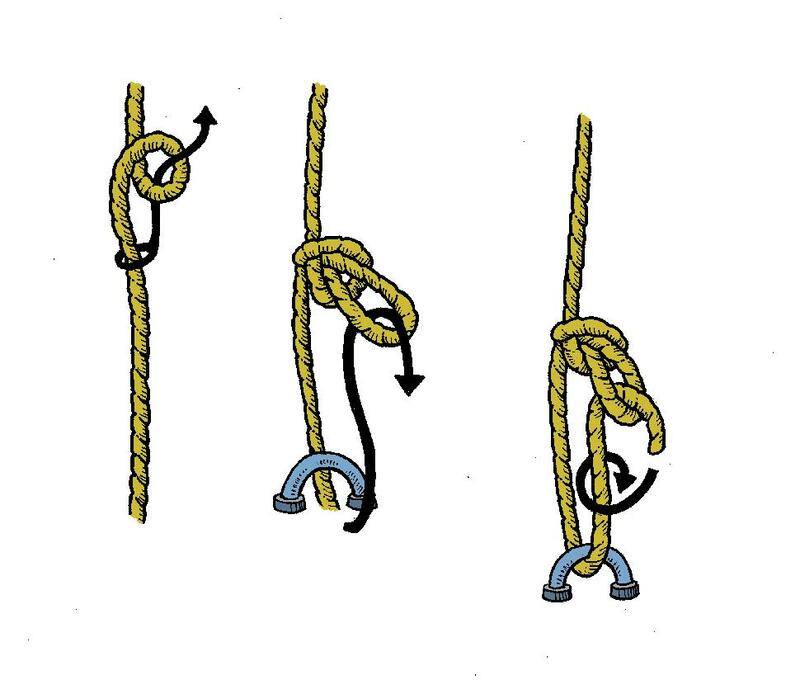 • Twist a loop in the line on the tied-off side. • Reach through it towards the tied-off end of the line and grab another loop. • Pull this loop through until the original loop cinches around it. • Slip the working end of the line through the loop and pull. This creates a pulley that helps pull the line taut. • Tie it off with a couple half-hitches.